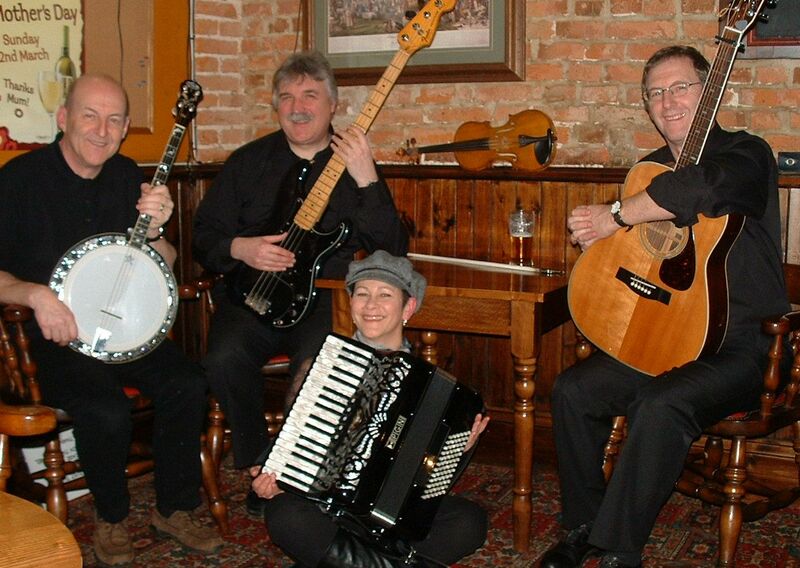 ReelDeel are a group of talented traditional musicians, who have been playing for many years on Teesside and have decided to form a band together after realising that together they had something special. They are capable of catering for all musical tastes, Irish, Scottish, English or American. (or a mix). The band play accordion, tenor banjo, mandolin, fiddle, guitar and bass, and of course, come with a very experienced caller who will walk you through the dances. Although ReelDeel are based around Teesside, UK, they can travel to neighbouring counties, including Yorkshire, Durham, Northumberland and Cumbria. All types of venue can be catered for, from small pubs to large halls. Do you know of anyone getting married this year? Then why not suggest a Ceilidh? It's a good way to break the ice, and get to know your new in-laws! At the same time you can keep fit and have a good time. ReelDeel are the band for you.